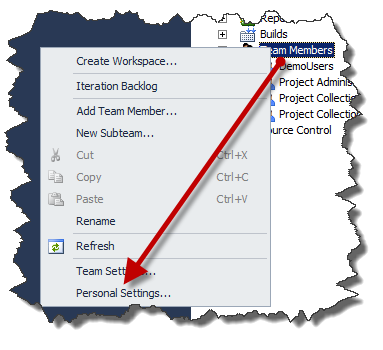 One of the most requested feature for TFS is the ability to distribute automatically Visual Studio adding to team member. This needs is especially important for addin like Custom Check-in policies, because if developers do not install check-in policies they would not be run during a Check-in. Every time you show check-in policies to a customer, it immediately ask you how to distribute them to all developers pc automatically. From there you can see all the options for the collaboration features and one interesting option is called â€œInstall downloaded custom componentsâ€¦. but how it works? You can include also dll containing Custom Control for Work Item editing, they should be included in a folder called $projectname/TeamProjectConfig/CustomControls. thank you very much for this article. Is there a way to configure this path? I think no, but I’m not 100% sure, I never had the need to change it, and I prefer using always the standard ;) to have same configuration over all customers.